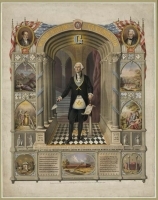 A great Mason and the "Father of our Country" has so many beautiful prints he deserves a category of his own. 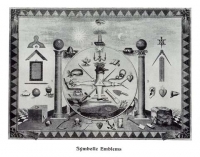 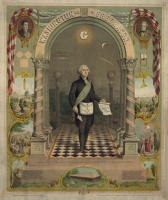 In masonic attire, holding scroll, and trowel. 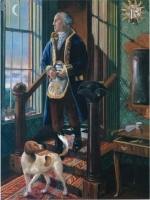 in full Masonic Regalia accompanied by on of his favorite dogs, "Duchess". 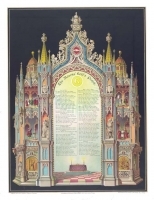 A highly detailed print full of scenes, quotes and symbols.